Enrico's Mantis Shrimp is one the sweetest crustacean patterns that we have ever seen. Mantis shrimps live in a variety of habitats worldwide, in both shallow water, and deep. 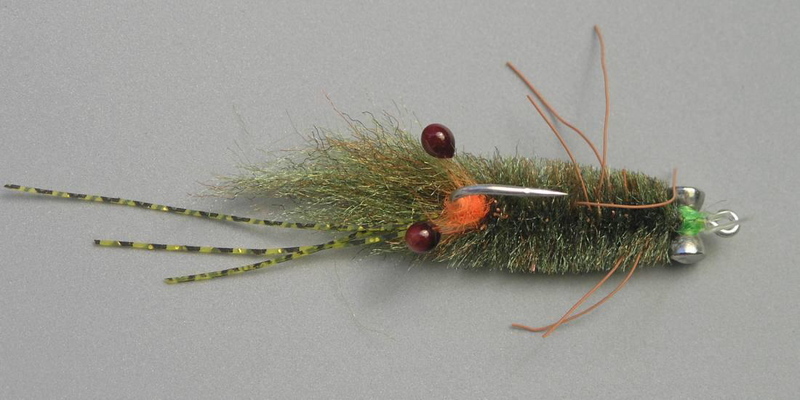 Though primarily a bonefish and permit fly, Enrico's Mantis is also perfect for other fish that feed near the bottom, including redfish, seatrout, striped bass, and more. 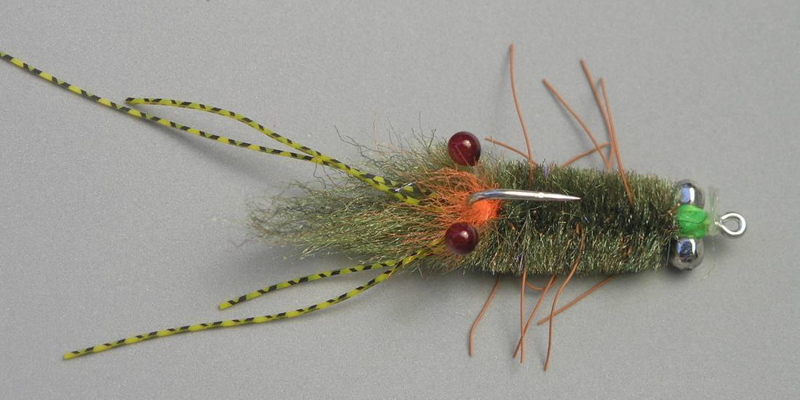 Both lead eye and bead chain eye versions are available to cover a variety of water depths, and this fly is tied in four color schemes for fishing over a variety of bottom types. 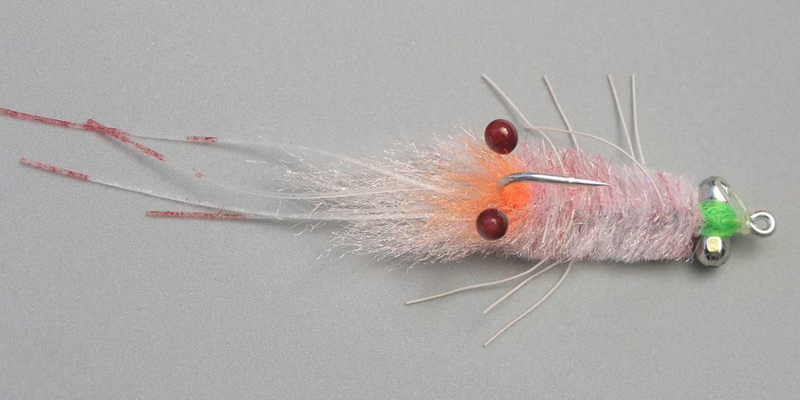 This fly features sparkly fibers, but no flash, and this makes it a perfect choice for fishing in areas where fish have seen a lot of brighter flies. 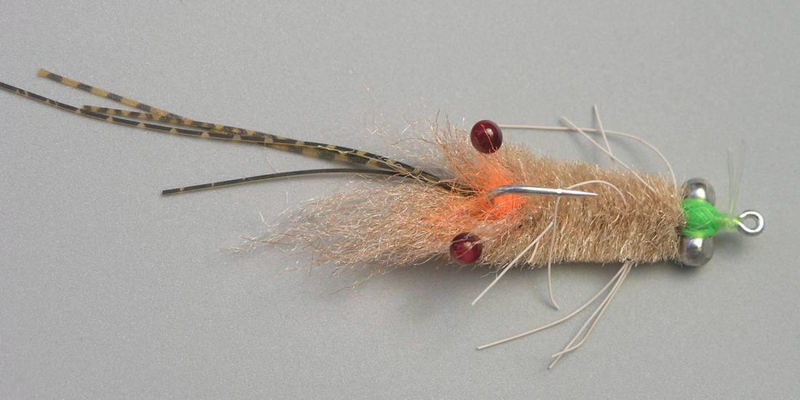 Enrico's Mantis Shrimp features a great-looking set of crustacean eyes, and a monofilament weedguard. This is another "buggy" pattern that can double very well as an imitation of a small crab, and warmwater fisherman should take note that this has been an excellent crayfish imitation for large and smallmouth bass. The "Lead Eye" version is pictured above - the colors listed below are shown in clockwise order in the photos above, starting at top left. Click the photos to see the flies close-up. 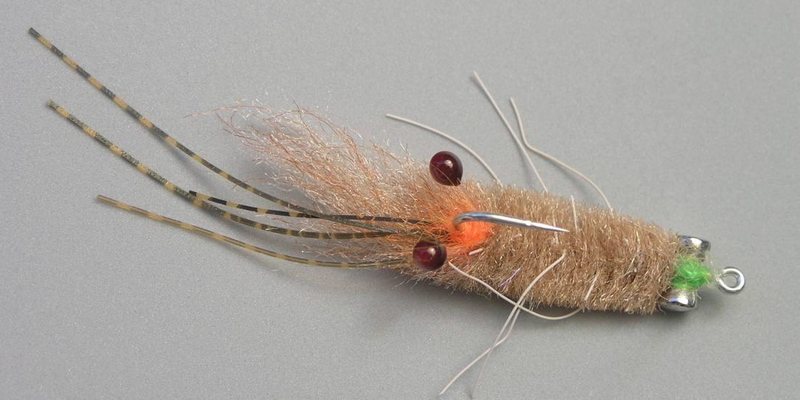 Note that Enrico has changed the style of this fly slightly - the original version had a fairly flattened profile as shown in the photos - more recent batches have a more cylindrical shape - also very nice. The #2 Enrico's Mantis Shrimp measures approximately 2 3/4 inches long. Similar patterns: Enrico's Ascension Bay Crab and Mantis Shrimp, Veverka's Mantis Shrimp, Enrico's Spawning Shrimp. The "Lead Eye" version is heavier than the "Bead Chain Eye" version. 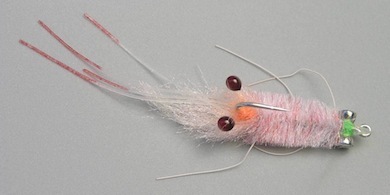 Here are photos of the "Bead Chain Eye" version: Pink, Tan, Olive. Tied by Enrico Puglisi LTD.